Run Gum, a new energy solution for your runs! 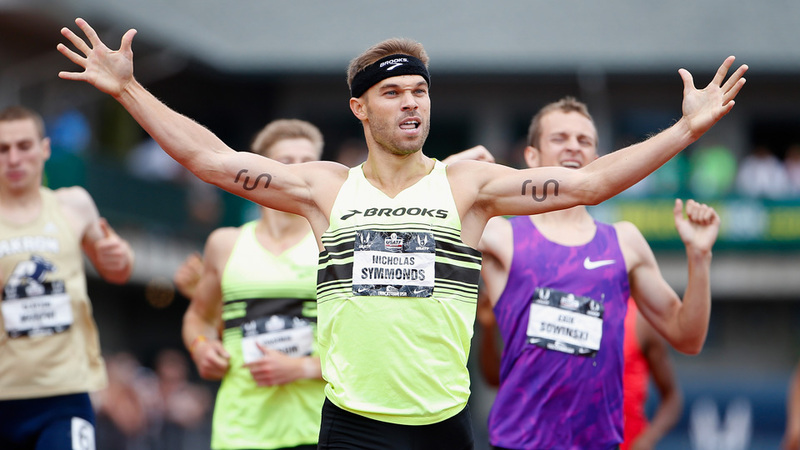 I recently had the chance to speak with Nick Symmonds the founder of Run Gum. Read to find out more about Nick’s running career and also to learn more about why you should choose Run Gum to energize your next run! Find out more about why some runners use caffeine when they run in my article Caffeine and Running, What’s the Buzz? How did you first get into running? Nick began running at age 13 in Boise Idaho. He started out playing soccer and ice hockey but decided to give cross country a try because of a girl. He ended up switching to track his sophomore year. He felt that his best distance to run was anything less than 5K. In high school his favorite was the 1600 meters. His High School coach Tom Shanahan was inspirational to him. He made it fun and got him motivated and excited about competition. Nick ended up winning 9 state titles. What is your favorite running accomplishment? Nick’s favorite accomplishment with running was winning olympic trials in ’08. This race tested him the most mentally. He PR’d at this event and this was the highest level of competition he’d ever known. What was your hardest race and why? Nick is a middle distance runner. His hardest race was the Honolulu marathon in 2017. He had never run more than 15 miles in training. He had 6 months to train but with growing a business and nagging knee injuries he never built his mileage up over 15. He said he is a gamer though and likes the challenge on race day. His time was 3:00.35. A big hill at mile 25 knocked him down and stopped him from breaking the 3 hour mark. What is your favorite workout? Nick likes to lift and now that he is not on world stage in running he has added in extra lifting day. He has put on 10 pounds of lean muscle which was something he fought as a middle distance runner. What do you do for nutrition when you are training? Nick said he trains in morning. He likes to have a Picky Bar before run and then Momentus protein post workout. His diet primarily consists of whole foods, organic foods. He keeps a well-balanced diet and said your plate should be colorful. He doesn’t love fad diets. He grew up on a farm and had an organic diet growing up. 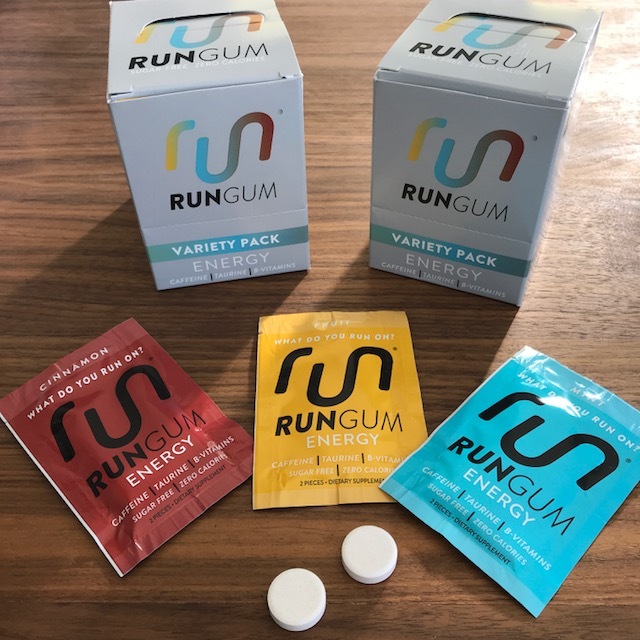 How did the idea for Run Gum develop? Nick said that in the mid 2000’s he loved energy drinks because of the focus they gave you but hated drinking all of that extra liquid. His background is in biochemistry so he thought about sublingual absorption of caffeine. He said he wanted to find a way to get energy without all the extra calories. Nick partnered with his coach, Coach Sam Lapray, to eventually find the optimal solution for getting caffeine this way in Run Gum! Run Gum is an energy gum. Every piece has 50mg of Caffeine. 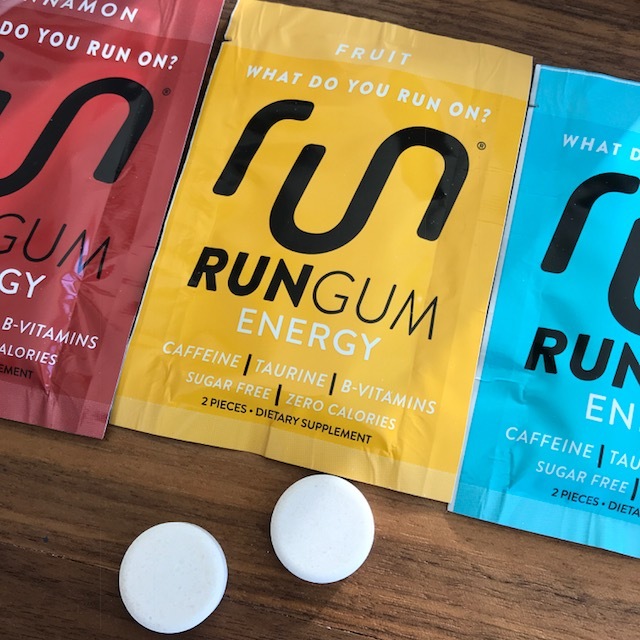 The best way to use Run Gum is to chew for 5 minutes get what you need and you can even have it in the afternoon for the caffeine boost! What is your favorite flavor of Run Gum? Nick’s favorite is the mint but it also comes in fruit and cinnamon with another flavor coming soon. Tell me more about the ingredients in RUN GUM. 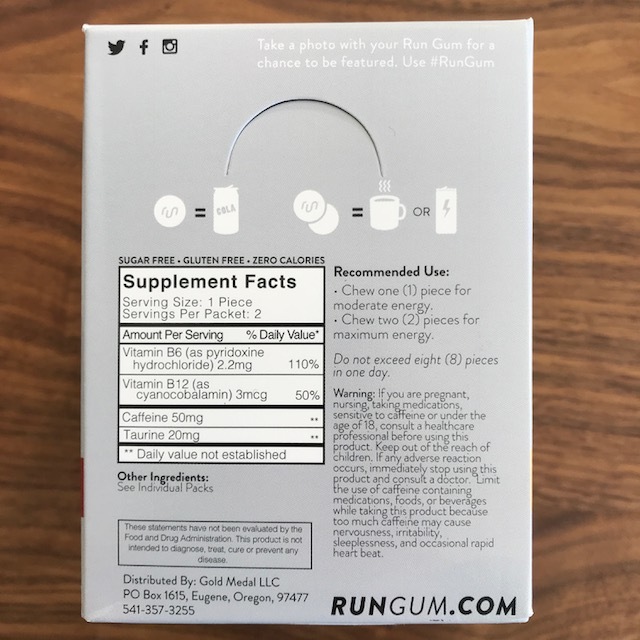 Run Gum has Caffeine, Taurine-amino acid , B vitamins (B6 and B12). The ingredients are readily absorbed sublingually. It is different from other chewing gums because it has a powdered gum base, vitamins and caffeine all packed into a gum tablet. Run Gum is a supplement, sold in energy aisle rather than with regular chewing gum. Run Gum is a great highly portable caffeine supplement that you can easily bring anywhere. I see that you have a new Extra strength RUN GUM on kickstarter, tell me about that product. How is it different from the original? When would you use it? Nick said we just wrapped up the kickstarter and will be firing up production. Extra strength Run Gum has double the caffeine for those who want to bigger caffeine boost. The flavor is Spearamint. 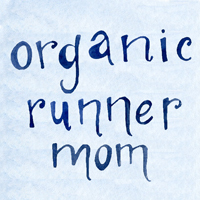 What are your goals for the upcoming Eugene Marathon? Nicks said his goal is to break 3 hours but nagging knee issues may get in the way. #WhatDoYouRunOn? Will you try Run gum?